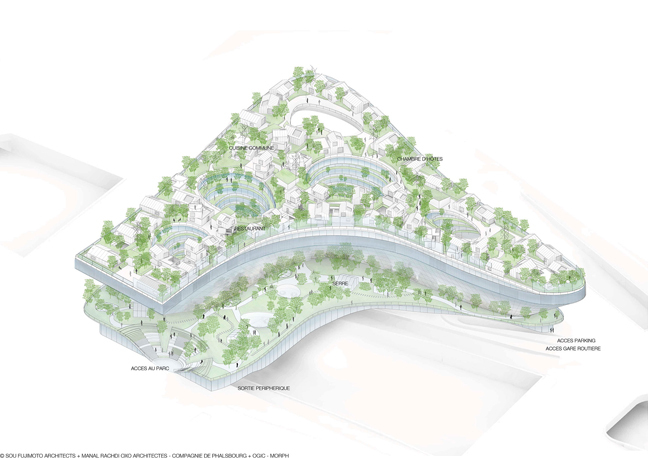 The team of Manal Rachdi OXO Architectes associated with the team of Sou Fujimoto Architects together with Compagnie Phalsbourg associated with Ogic is proud to announce that the project “Mille Arbres” (Thousand Trees) won the competition of “Réinventer Paris” (Reinventing Paris) for the site of Pershing. 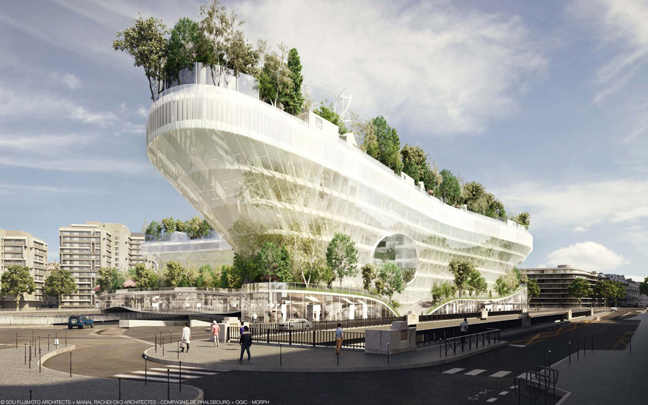 The results were announced at Pavillon d’Arsenal by the Mayor of Paris, Anne Hidalgo following the deliberation of the jury on the 26th of January 2016. This competition, launched on the 3rd of November 2014, received no less than 815 applications for 23 sites, selecting 17 teams for the site of Pershing and consequently 4 prestigious teams continued till the final phase. The “Pershing” plot and the transferable volume over the Périphérique, Avenue de la Porte des Ternes for the construction of a bridging building, are located between the Porte Maillot and the Porte des Ternes next to the Palais des Congrès de Paris. This currently under-used site will be at the heart of the Porte Maillot renewal operation, a strategic part of Greater Paris, linking the central business district with La Défense. The exceptional visibility of this plot and the importance of the traffic flows through it call for an innovative and cutting-edge project. 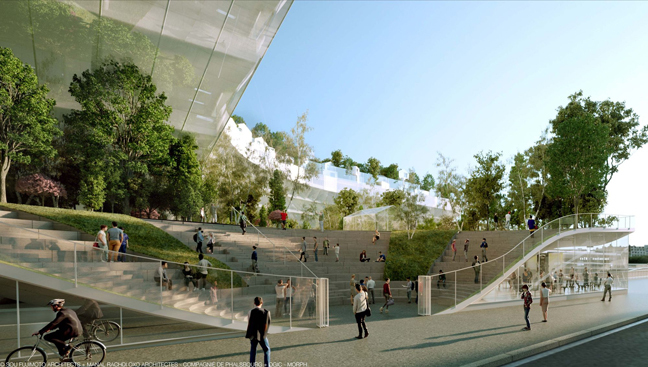 Although the terrain currently has a parking lot and a bus station, it is destined to be developed, with the possibility of being extended by the development of a bridging building over the Périphérique in line with the Avenue de la Porte des Ternes. Its enhancement will go hand in hand with the different infrastructure and development projects in the sector.